A rich Plum Wine infused with Jasmine Blooms. Julia – 4.25 Stars – The plum flavor comes through as a pure plum liquid, and that’s the great part of this flavor. However, that touch of Jasmine, while certainly not overpowering, does give you a floral flavor on the exhale. I’m not keen on florals, but thankfully this is just lightly floral. Tom – 4 Stars – I have to score this one for its natural ingredients, vapor, and the amount of flavor produced. I would not vape this one unless I was reviewing it because florals and I just do not mix. For a quality eliquid through, it’s solid. Keira – 4.5 Stars – The light touch of Jasmine gives this e-nectar an additional layer of beautiful flavor. The plum flavor is rich, the Jasmine is delicate, and together they serve up a delicious and satisfying experience. Such splendid flavors! Jason – 4 Stars – The first part of my time with this plum and Jasmine eliquid I didn’t like it at all. The florals hit me hard and that was all I could taste. However, after I took a break and began vaping a couple of others I came to it and what a difference! I guess my internal wiring had to make certain adjustments to organic flavors because once it did I loved it. I’m stopping at 4 stars only because I think the Jasmine is great for floral vapers, but if they could roll it back just a tad it would be even better. But, what do I know? I love my PG and artificial concentrates, you know? My absolute favoriteThis juice has become my all day vape, my go-to from my extensive collection. I've had others try this and I always get a lot of compliments on the taste and smell. It truly is what I was looking for. The wine/plum sticks out on the inhale, and hint of jasmine floral on exhale. The only thing I wish for is that they would sell this in 60ml. I dont think I will ever be without, as I continuously come back to this one. What more can I say? I absolutely LOVE Geisha Moon Song. WoahI don’t usually write reviews.. ever. There’s something about this I can’t put my finger on.. oh wait, it’s NATURAL. No spit back, no funky aftertaste, and especially no pixie dust. I won’t ever buy another brand of e-liquid. Hands down. Thank you, thank you so much. If you’re a smoker and can’t quit, this is the next step, I can assure you. Whoa, game changing!You can absolutely tell the difference from the nasty PG/artificial liquids to Kind liquids! This flavor is so very smooth and very pleasant with the jasmine. 5/5 will buy again. Pro tip: drink sake while vaping this juice. Super SweetThe smell was overpowering when I opened the bottle; almost like perfume. I was a bit afraid to vape it! Let it breath for a day and put it in my tank and all was good. Very strong plum wine taste though the sweetness was over the top and might not suit everyone. My Main SqueezeI love this flavor. I have always been a fan of menthol flavors so when I got this one I bought it along with the menthol additive. However, I realized I do not even need the added menthol since this juice has a fruity yet refreshing after taste. I now consider this juice to be my "main squeeze." Geisha Moon SongI love this flavor! I originally bought it along with a menthol additive since I have been obsessed with menthol flavors from the beginning. However, I don't even use the menthol anymore since the Geisha Moon Song has a fruity yet refreshing taste. This one is my number one "squeeze" when it comes to vape juice! And its ORGANIC! Nice and softI was uncertain about this flavor when I first opened the bottle, but after aerating for 24 hours, and starting with a fresh coil, my worries were gone. Delicate and flavorful. More Floral Than ExpectedI just started vaping about a month ago, after I quit smoking, so I'm still trying out new flavors and what kind of flavors I like. I read about this one and decided to give a floral a shot, as this one was supposed to be a very subtle floral flavor. But when I vaped it, it was very overpowering and reminded me of a perfume my grandma used to wear. It's not terrible. I don't mind vaping it. I just think that maybe floral isn't for me. I'm not a smoker, but I started vaping to control random snacking and help with anxiety, so my orders have 0 nicotine. I have tried another "organic" ejuice company and Kind juice is far superior. Geisha Moon Song was a recommendation I found on another website and it is Delicious!! So flavorful, but no chemical taste like some other companies. It tastes natural and so good. Very happy. DeliciousStill, hands down my all time favorite all day vape! My favoriteI did a sample pack and this was my favorite flavor! Very light floral taste. It’s a very unique flavor. This reminded me of a heavy perfume. It was pretty intolerable for me and unfortunately I bought two bottles in anticipation! Taste really is subjective though, to each their own. LovelyAs with all Kind Juice Nectars, you can expect what is described in the flavor profile. Do not be afraid of the jasmine if that is holding you back. It is very subtle. The plum wine is the star of the show. Good As ExpectedNice subtle taste. Yet another winner from KJ! Hands Down The BestThere is a subtle flavor of the jasmine blossom that just makes this vape juice pop! You will not be disappointed, I promise. Hands Down The BestThis flavor is so incredibly delicious, there is nothing else like it. There is a subtle flavor of the jasmine blossom that just makes this vape juice pop! You will not be disappointed, I promise. This is an amazing juice, most likely my favourite but its hard to say because everything I ordered from here is really delicious and high quality. I gave two serious ecig friends of mine to try this juice and they were very impressed, said it tastes so clean! I bought from here because of all the great reviews I've read on this site and I did alot of searching before I decided to order ejuice through the web as I have a friend who makes juice for me and I want to make sure it is as clean as possible.This is great juice no doubt about it!! !And the only site on-line I would order from! This is the best flavor I have ever ordered. I was very worried at first, but after one of every flavor that Kind Juice offers, this is by far my favorite and get many compliments from non-vapors on wonderful this smells. Smooth and tasty. THANK YOU!!! I have no idea what a Geisha Moon Song is supposed to sound like but if it sounds anything like how this vape juice tastes then I would be broke, in debt and in love with a fair Japanese lady. I don't think anyone else has attempted a plum vape juice but if you are...just stop and give up while Kind Juice is ahead. If your not sure your into plums...just roll the dice, I didn't either and trust me, the odds are in your favor. Great VapeGeisha moon song is the best ever! I am number one fan of this vape juice. I just let it set with the top unscrewed and wow do the flavors pop. It is complex and subtle. I just love the combination of plum and jasmine! REALLY GOOD! My Favorite ADVLove this flavor. Great true taste no fake stuff here. Always my go to. Sweet, fruity and smooth. Geisha Moon SongReview for Geisha Moon Song. I wish I could find the right words to describe this, because I think everyone should try this. I don't take this to work with me, this isn't something I can go outside and in a hurry vape; this is one I save until I'm at home or I have the time. I want to savor this and really enjoy it! This was a bit challenging to find just the right watts that worked for me. I was concerned at first that it was too floral, but this is not the case at all. I had to let this mellow, and go slow, long pulls.. this is not one to rush. I love it. The plum comes through so well and the jasmine follows in a way that mellows the the tang of the plum. Please remove my last name from the post. Hello, we always recommend to aerate the flavors if needed. There is no cherry in this actual flavor and Geisha Moon Song as long been a favorite. Taste is subjective. I found the BEST!Unlike anything I've tasted. This line is smooth, intense, bursting with flavor. I'm in love. I started with Jungle Juice and was so impressed I ordered the Island Survival pack. The 1st flavor I tried was Geisha Moon Song. OMG love at 1st vape. And bc I WAS a menthol smoker for 20 yrs, I got the Alpine Frost, I add just a few drops to my tank with JUNGLE JUICE and Geisha Moon Song, for a nice smooth cool light throat hit. Wonderful. Could praise these flavors more! Unique and tasty!Super unique and blended to perfection. If you enjoy a cup of jasmine green tea this might be for you. Thank you for another hit Kind juice! One of the best!Got my order today and did not want to wait to try this. The smell alone got me excited to try it out. The flavor combo is a perfect match not to much of a floral taste and just enough plum taste mixed for a amazing vape. I have been vaping for 4 years and I have not had a liquid that tasted that good. wish I would of found these guys sooner hands down the best juice I have tried. And you will not regret getting this if you like these flavors. Awesome flavorThis blend was the most different yet sweetest blend I have ever have! Definitely going to advise my vape friends to try it and I know they will get addicted to it! Best juice ever! !Best juice on the market. Flavorful, consistent. Love it, Kind is the only brand of juice I use and Geisha Moon is my daily vape. Subtle delicious hint of flavors keep me coming back for more on this one! Great way to augment the Tobacco Ridge flavors and my favorite flavor from the fruitier selection. Loved this one!! I will be buying this one again!! Yummmm!Nice flavor. Not too sweet. The plum kinda reminds me of grape candy. I really like the refreshing Jasmine, it isn't perfumey like other flower flavors can be, of course Kind Juice is always fabulous! Great ingredients, great flavor, great product!I'm fairly new to vaping but I knew I wanted to go organic. I was skeptical at first but from the few brands I've tried, Kind Juice is the best by far. The viscosity is perfect for my sub-ohm setup and the flavor pops beautifully. Thank you all for creating a quality product! You've definitely lived up to your reputation! LOVE THIS JUICE!! !When i decided to stop smoking, i knew I would need a little help. Never imagined my research into organic liquids would lead me to Geisha Moon Song...a lovely blend of blueberry and jasmine...so refreshing and unlike any other juice out there. I want to say thank you to the Kind sstaff...always there for me and sharing my success for giving up cigarettes. I am a faithful customer!!! ?? Great FlavorMmmh ! This one taste really good ! The plum is powerful, the jasmin is subtle but present. All my friends loved it ! Calming Experience!Just an overall amazing juice! After a hard day at work. Just vape on some Geisha Moon Song and feel an overall calming experience! LOVE THIS JUICEI have been using vapors as a means to stop smoking for the last 3 months. I have tried at leaat 5 different brands of E- liquids, but Kind is the absolute best by far. My favorites are Geisha moon song...it is so subtly delicious...first you taste blueberry...then the jasmine hits you.....and Once in a Blue Moon is fabulous...pure delish taste of sweet blueberries...and the cloud is awesome...when people get a whiff, some actually ask to taste it!! 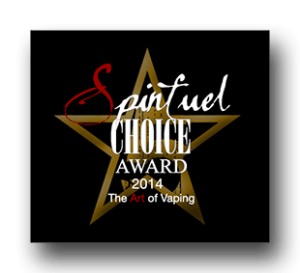 😉 The Kind staff are as awesome as their products...all in all...this is the best experience I've had ao far...i have not had a cigarette in over 3 months...nor have i craved one! Thank you, just, thank you.I really like this juice. The plum stands out more than the jasmine however, that is not a bad thing! The throat hit is strong but I like that, and you get used to it as with most things. Thank you so kindly KindJuice, you all are exceptional and I could not be more thrilled to find an organic juice company that is so very aware of those who wish to keep things pure. This is a subtle ,beautiful flavor. I am very pleased! YummyThis juice is just simply AWESOME!!! Bought 3 bottles of it at VCC New England this past weekend and I've alkyd gone through my first bottle. Need to make bigger bottles! 50ml. Would be nice! AmazingGeisha Moon Song is very delicious! I was floored with the quality of the scent/flavor of this juice. Seriously can't get enough of it. So Good!Received my order the other day and I'm so impressed. Geisha Moon Song has a light, juicy plum on the inhale with a whisper of sweet jasmine on the exhale! Not at all overly flowery. Probably the most unique e-liquid I've ever tasted! It's smooth enough to be an all day vape and doesn't become redundant or flat tasting. Excellent flavor and vapor to match. It's just really yummy! BlissI inhale and get a bite of plum. I inhale more and juicy plum explodes into my mouth. I exhale and the jasmine note come into play just enough to make this so extraordinary. This is the type of juice that you want to horde, put on a top shelf and take out only for special occasions. But alas, you cannot put it down. So I just have to make it my adv. Asia in a bottleI just got my e-Nectar today and couldn't wait to try it. The first hit of it was very spicy & sweet. After that, it was smooth and burst after burst of plum flavor was rolling out. I do have to say, I was pretty surprised. But, I do love this and will definitely order it again. Pink HatterI have vaped a lot of juices but nothing like this. I am over the moon for Geisha Moon Song! It's my new favorite! I will be back for more and more and more. Pure joy in a vape. Vape HeavenI purchased Geisha Moon Song at the ECC this past weekend, and I must say this is my ultimate favorite flavor! A light floral fruity with just the perfect sweetness! I have already just about finished my 15ml bottle. I look forward to when it is available in 30ml. this is the perfect flavor for those wanting to experience something other than ordinary! Heaven's Vape!This is all I vape! I have already gone through 2 bottles of Geisha Moon. (3 if you count the bottle I got at ECC) Please please please offer them in larger bottles. I just can't get enough of it. InfectiousIf you are waffling like I do when you order anything online, stop. Order it. Its fantastic. Sweet and plummy - this juice was everything I wanted it to be. All of the juices I have tried from Kind are fantastic and smell wonderful. Fantastic vapor, Great taste. Thank you so much! I look forward to ordering more juice in the future! One of the bestGeisha Moon is now my ultimate favorite juice! Not only does Kind Juice have fantastic product, but they also have the GREATEST customer service. I am so excited to test the extra "goodies" that came with my order. These guys are the best. Try it, you will not be disappointed. Just amazing!This flavor can only be described as mature and very romantic. I have no clue why that is what comes to mind when I think of it. The plum wine is crisp and to the point. Almost a hint of grape, but I know that is the plum. On the exhale, there is a sweet undertone of jasmine that I was questionable about before I tried it, but I am totally in love after trying. It reminds me of the bushes that surrounded my house in Coconut Grove. I have yet to be dissatisfied by any juice from this company. I'm a Once in a Blue Moon "all day vape" girl, but lately this flavor has been taking over my rda. I would have to say this flavor ties with my love for Once in a Blue Moon. GreatThis is my favorite juice. Wish it came in larger bottles. It does get better with age, let it sit for a while with the top off. AwesomeThis is absolutely the best juice I have ever vaped !! Not only that but one that has had no negative effect on my mouth or throat..
Kindjuices best flavorGood job Kindjuice, you did good with this one. Nothing I've had tastes quite like this. Sweet, fragrant plum with the aforementioned floral notes, tastes great, smells nice too. A unexpected surpriseHeard great things about Once in a Blue Moon, so i placed an order for some, and it was real good. Ordered this at the same time because it sounded good, and ladies and gentlemen this turned out to be the real find. This is a great, tasty, invigorating, fruity, aromatic nectar. A bit expensive for an ADV, but great for a occasional treat. Wild Ethereal ActivitiesMy very first VG vaping experience and it was love at first bite! The floral was mystical and delicate, the taste truly enjoyable. A fruit flavor mingled with the smell of walking in a Chinese garden blooming with light jasmine. I'm not sure what happened next but it was wild. !~ :). Still too good to pass up.I make 95% of my e liquid. I'm just too picky to buy from most companies. Not from Kind Juice. All the juices I have tried are top quality, clean, fresh, fantastic e liquid. There are only 2 other companies I'll buy from but Kind Juice is always my first stop. Geisha Moon Song my first choice, then Blue Moon and finally Teacher's Pet. You just can't go wrong with Kind Juice. Subtle but not ShyI have tried several juices from different manufacturers, some because of recommendations others by being a victim to great advertising. Kind Juice is my own discovery and I'm glad I was curious to order a few nectars, of all of which I just keep coming back for Geisha Moon Song. Subtle and complex but not shy. I thought this would be a juice for a particular time of the day but the truth is that I vape it all day. Excellent stuff ! Sheer joy in a bottle!It's pure satisfaction as always. I can never get enough Geisha Moon Song. As soon as I order it I put a fresh build on an atty and have it waiting on the bottle to get here. When it does it's music, and my Geisha. Bliss. Sweet without being cloying, such a unique flavor that is so hard to describe. It will always be my favorite. AmazingBefore Geisha Moon Song is steeped, the flavor profile is very intense. It tastes like a spiced, brandied plum atop a bed of jasmine blossoms drizzled with honey. After it has time to age the flavors mellow and blend beautifully. It loses its brandy and spice flavors and tastes predominantly like jasmine blossoms with just a little bit of sugared plum peeking through. It is a perfect blend of complimenting flavors. Geisha Moon Song is an e-nectar I will order again. Best. Juice. Ever!Geisha Moon Song is my absolute favorite juice ever. I get crabby when I run out and have to wait for my local store to re stock their supply. The taste is sweet but not too sweet, mellow but not too mellow, flowery but not too flowery ...... it is just right and I love it. I like the fact that it's organic and pure in it's ingredients but truth be told, I would order it in bulk even if it wasn't! it is THAT good!! Try it ... you will definitely not be disappointed! ! TastyLove this juice! It have such a nice flavor, sweet and light . definitely a new favorite of mine. Still loving all the flavorsFound this sample bottle lurking in the back of a drawer. Along with virtually all the Kind Juices I have tried, this ranks up there! Keep the flavors coming! Just would like to see larger bottles in the future? Well done team Kind Juice great work! Flower PowerA very unique and fresh taste. I purchased along with Pirates Gold and am pleasantly surprised.